When people work together towards a common goal, incredible things will happen. 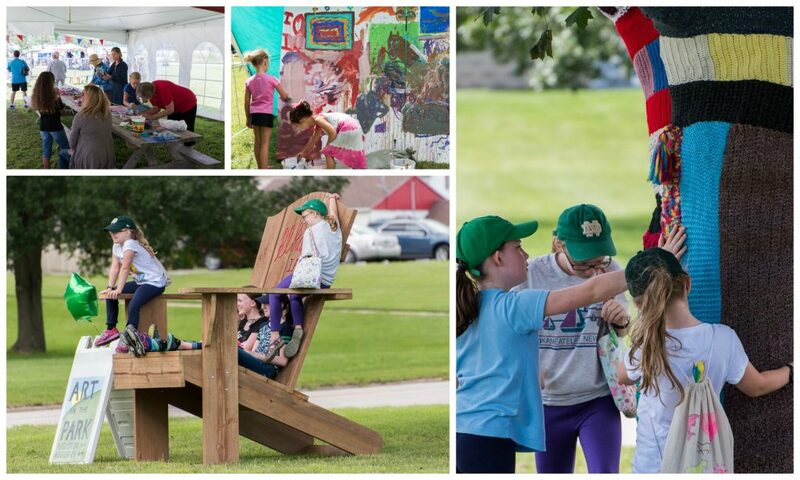 For more than four years, Elkader’s Art in the Park Fine Art Festival committee volunteers have worked countless hours year-around to plan and execute a successful annual event and regional destination for art enthusiasts, foodies, and music lovers alike. Elkader will host the 4th annual Art in the Park festival on Saturday and Sunday August 17th and 18th, 2018. Boasting more than 60 local and regional, juried artists, festival-goers can connect with artists as they stroll along the meandering paths in Founders’ Park. Additionally, the day is filled with live music on two stages, wine tasting from area wineries, and an array of delicious food vendors that will please every pallet! A new addition to the 2018 lineup includes a youth Creation Station and art workshops in the Kid’sArt tent. Alpine’s broadband technician, Austin, is installing the WiFi equipment in preparation for Art in the Park 2018. Rooted in the belief of connecting communities, Alpine Communications is honored to be a corporate sponsor of Art in the Park since its inception. Equally important, when the committee approached Alpine Communications for help connecting their artists, food vendors, and musicians to the Internet, we jumped in to provide WiFi for the event. Visit www.artintheparkelkader.com for a full schedule of events. 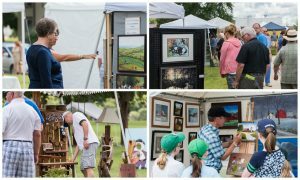 We encourage you to celebrate the fine arts, culture, diversity, and community connections at Art in the Park 2018 in Elkader.